Prestashop Marketplace Seller Shipping :-This is an advanced shipping module for Prestashop Marketplace. Using this module, seller can completely manage the shipping. Seller can create new shipping methods and can also set one’s own shipping rate. 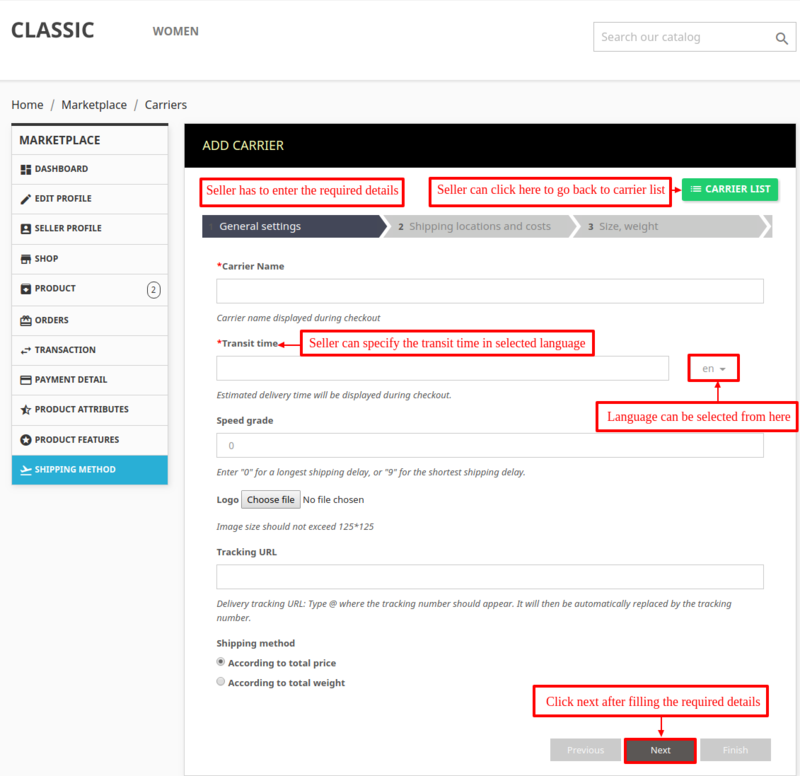 Admin can set either auto or manual approval of seller shipping methods. Now seller can specify their shipping method transit time in multi-language. Seller can create shipping methods. Seller can add their own shipping charges. Created shipping methods has to be approved by admin. Seller can give basic price for each continent. Seller can add handling cost to the shipping methods. Seller can create free shipping methods. Seller can add impact price based on zones-country-state. Seller can assign a unique shipping method to the products being added. 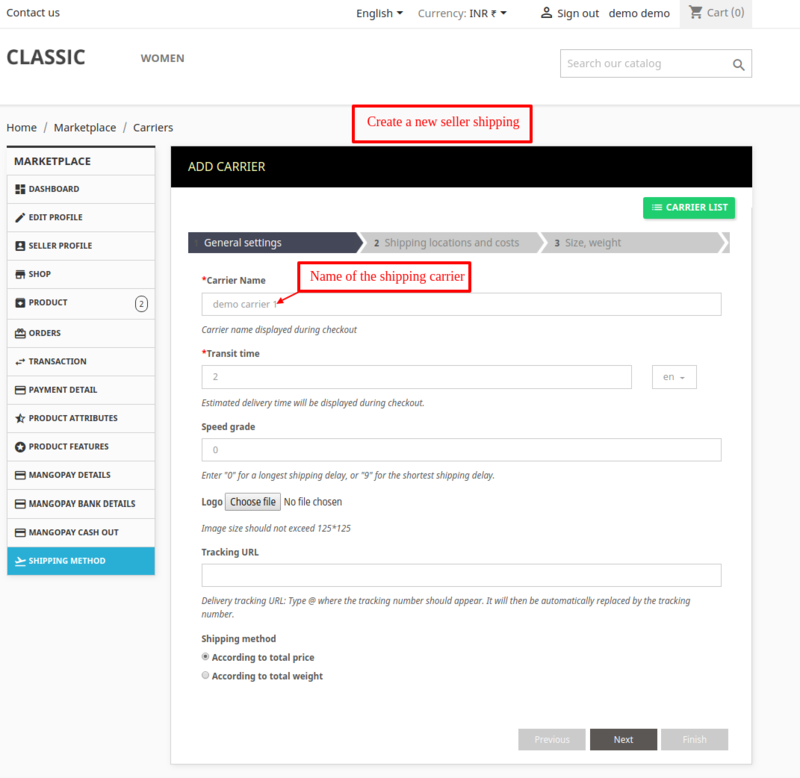 In case seller does not assign any shipping method to products, then by default the available shipping method is assigned to product. Buyers will have the opportunity to choose from the available shipping methods. 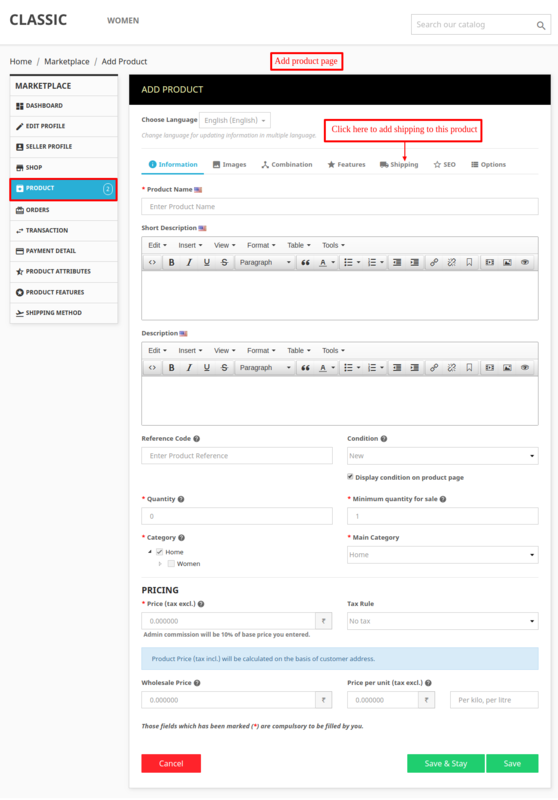 Admin can assign own shipping methods to all the admin’s products at once. 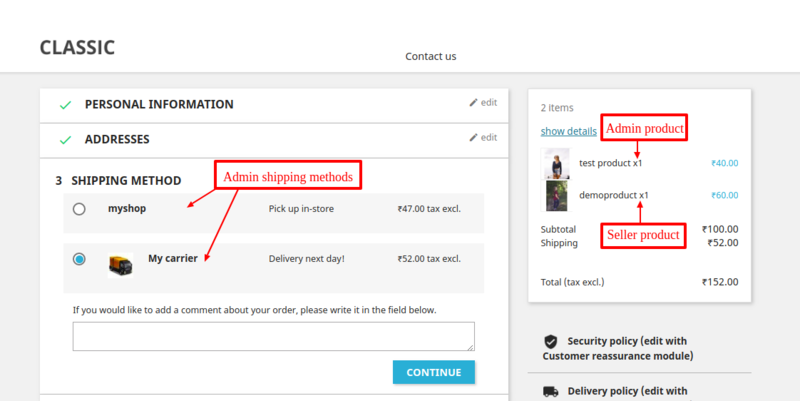 Admin can assign own shipping methods to all the seller products. Seller can set the default shipping method for newly added products. Now seller can add shipping transit time in multi-language. 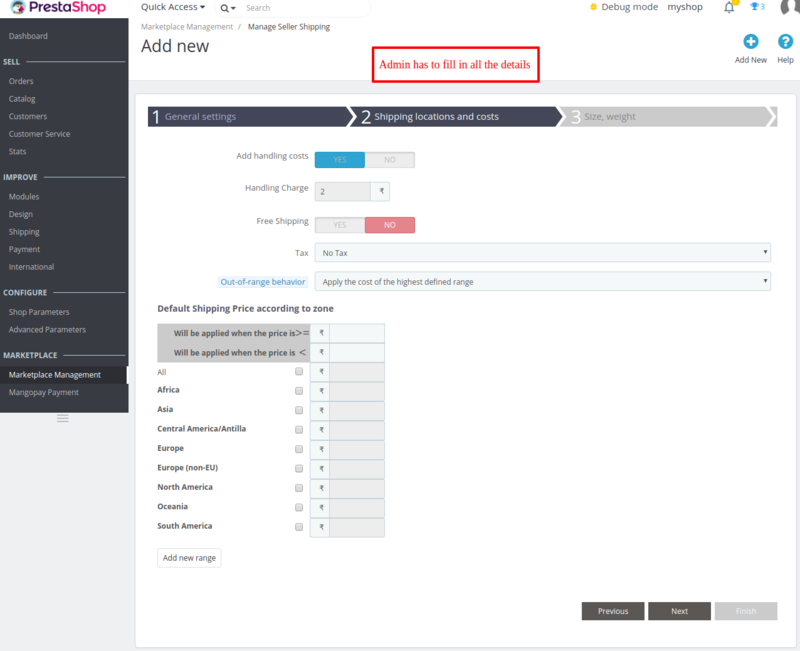 Admin can also add seller shipping methods with multi-language transit time. 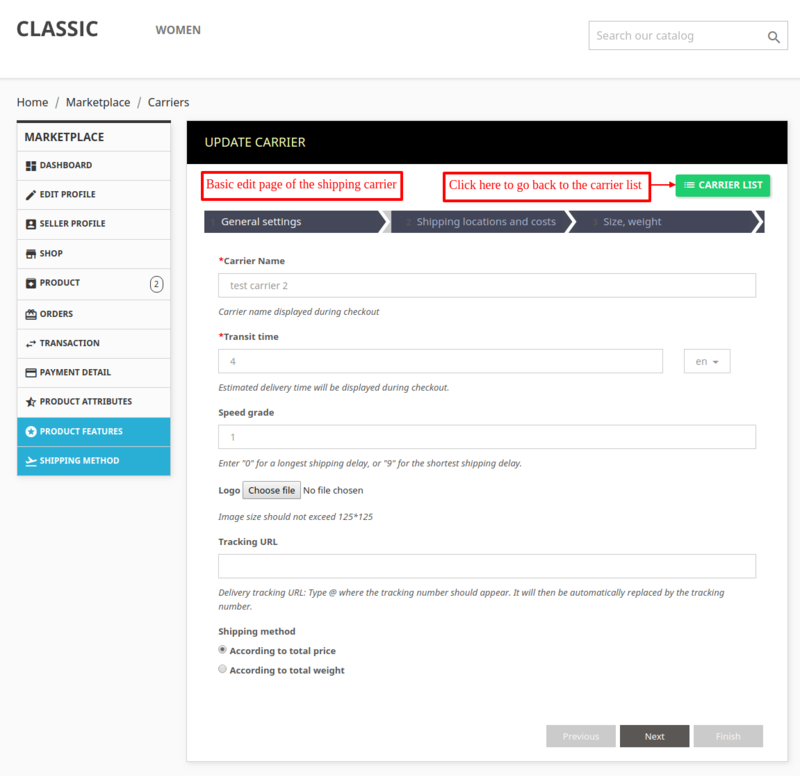 Admin can enable/disable the manual approval of seller shipping methods. Admin can select whether to send the mail to seller when seller shipping method is approved by admin or not. 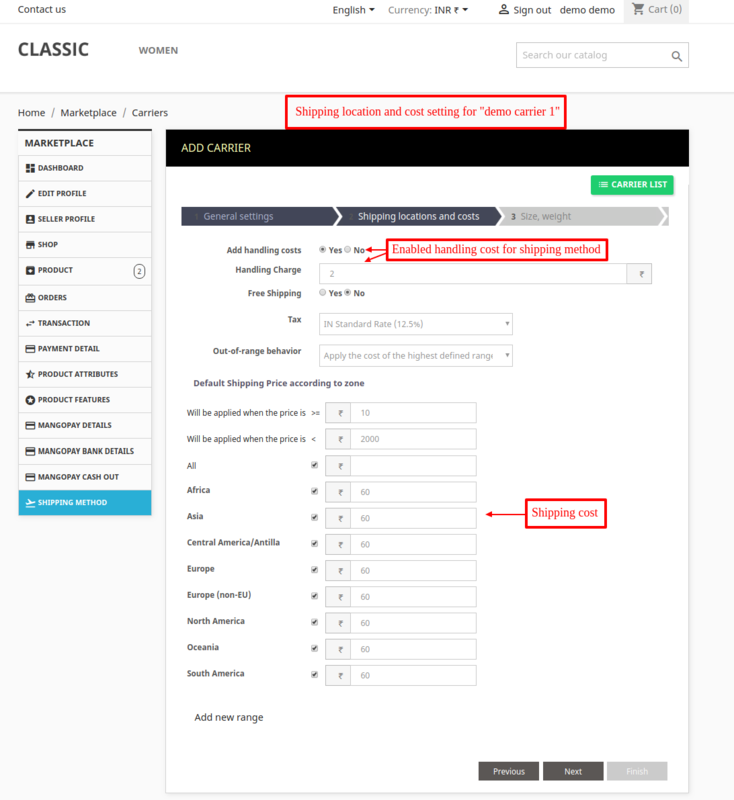 Admin can select whether to receive the mail whenever seller shipping method is created. Admin as well as seller can apply tax on the shipping rates. 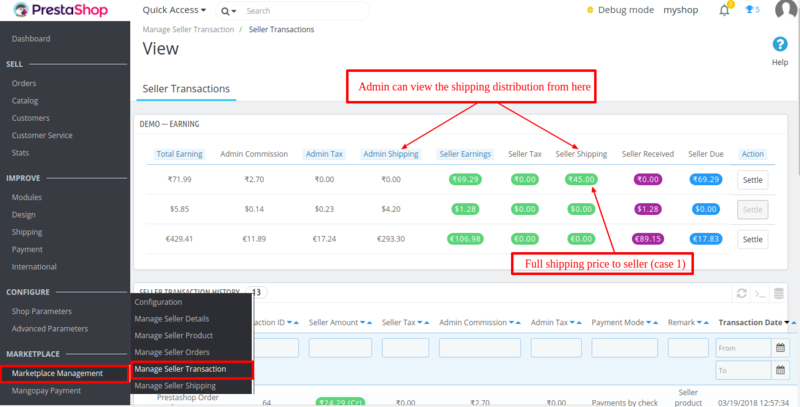 Admin as well as seller can select “Out of range behaviour” either as “apply the highest shipping cost” or “disable the carrier”. 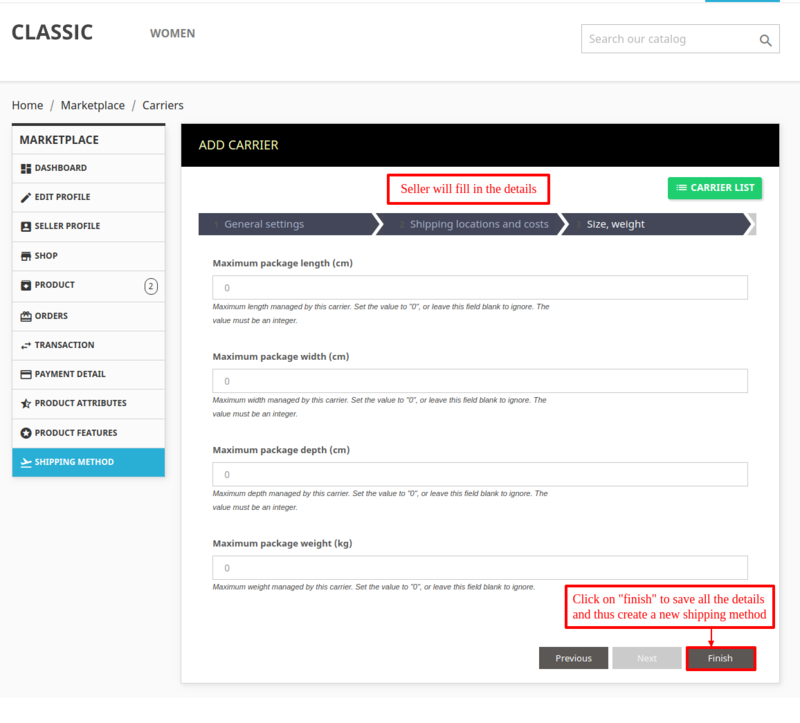 Admin can enable/disable shipping distribution. Admin can decide either shipping will distribute between seller and admin both or only to seller. Given admin and sellers product are in a single cart. 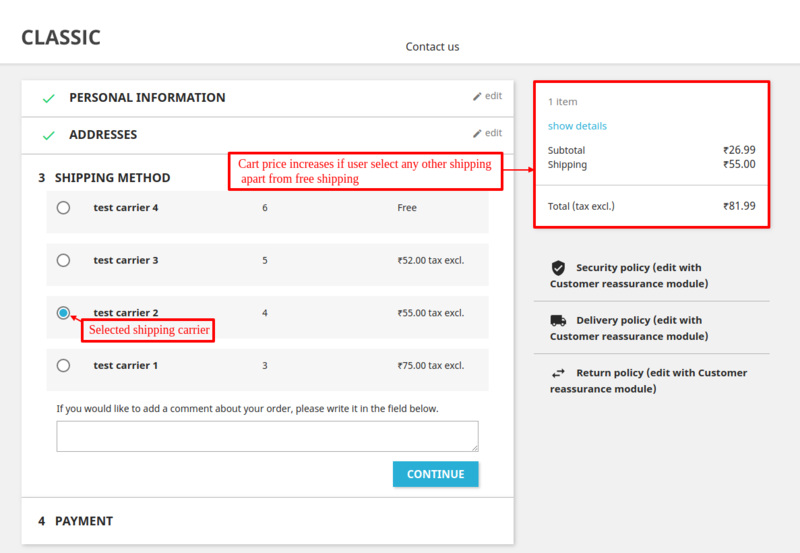 admin can select “shipping distribute to” seller or admin at the back office under shipping tab. 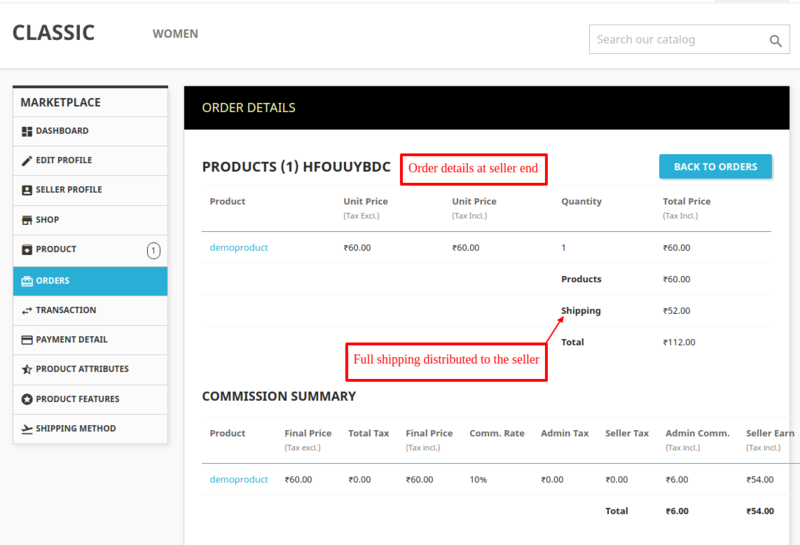 Admin can also view the seller shipping for every seller separately under “Manage seller order” page. For installing Marketplace seller shipping module you need to install Marketplace module first. After installing marketplace module you can start the installation of Marketplace Seller Shipping module. 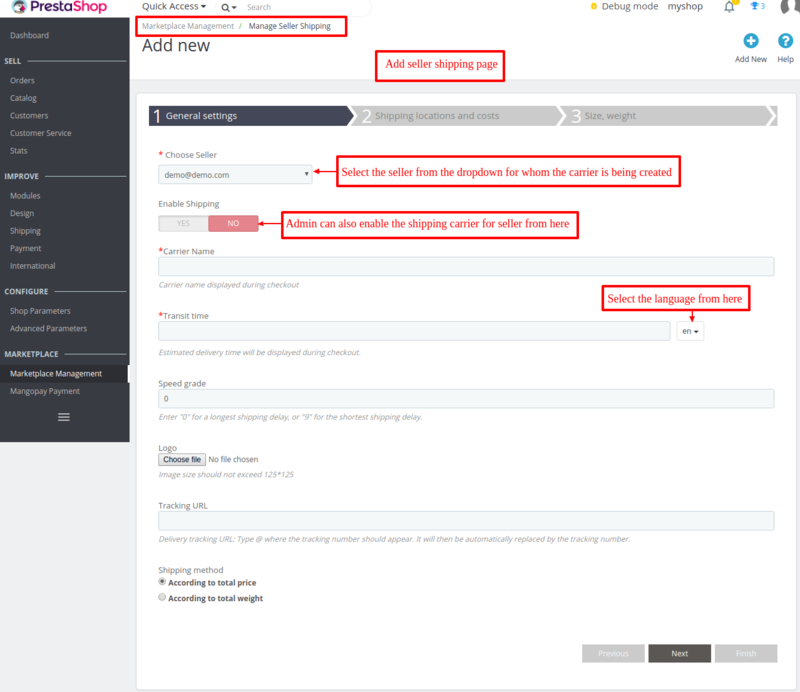 This is how the module will be succesfully installed on your Prestashop Store. 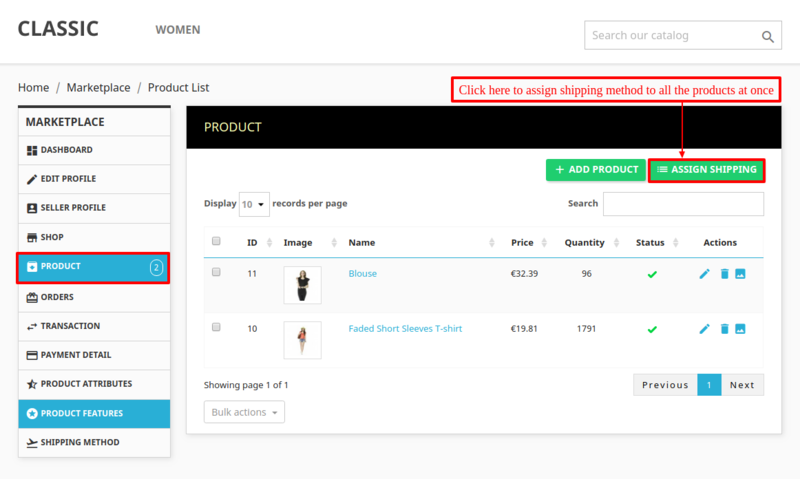 Admin can assign single or multiple admin’s shipping on all the seller products at once. 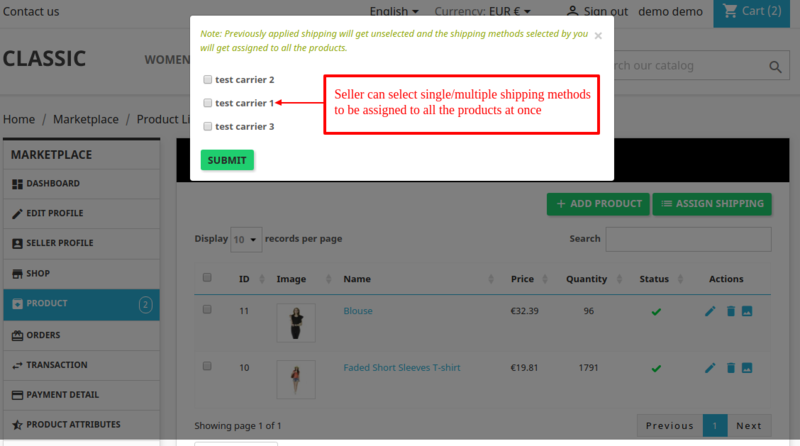 After clicking on shipping method, seller can see all the shipping methods & can also add new shipping method. After clicking on “Add New“, seller can add new shipping method. Seller can add their transit time in any language. After filling all the required fields, you have to click on next button. Now seller can set a basic price for all continents. You need to first define range. 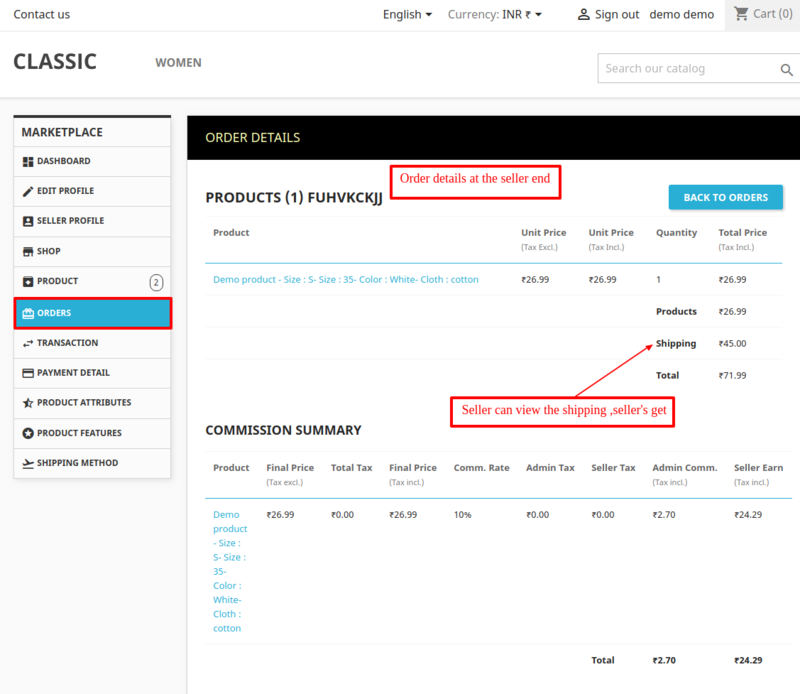 After defining range, you can add prices using check box and put price in the input field. You can also add multiple range. 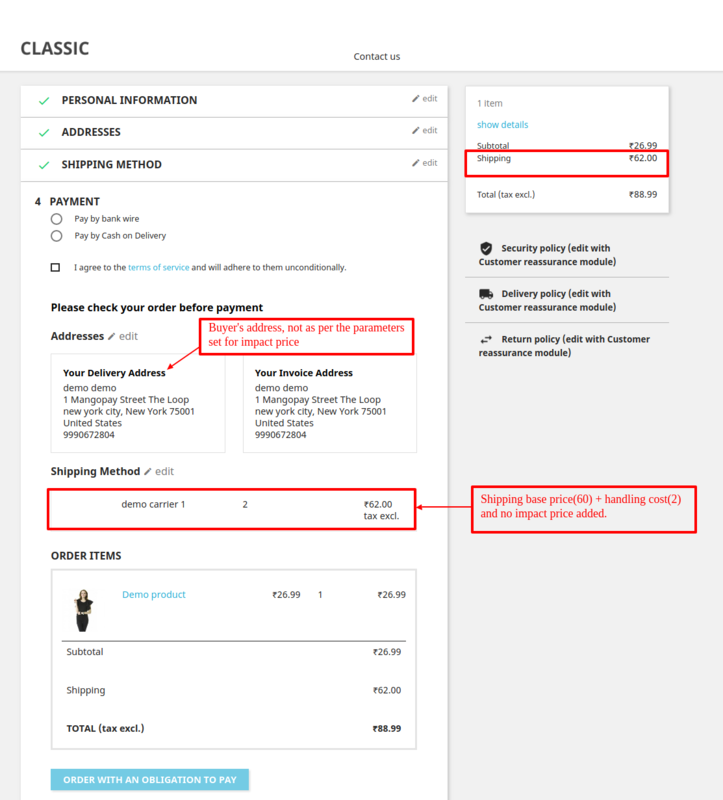 After adding basic price, you need to click on next button where you can restrict size, weight according to your shipping method. If you don’t want to restrict size then just leave it blank. Click on finish button. 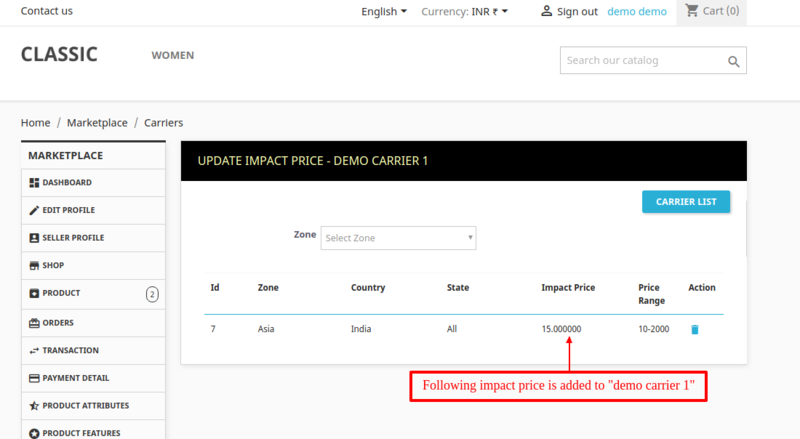 Now seller will be redirected to impact price page where seller can add impact price according to zone-country-state. If seller does not want to set impact price according to country and state then seller can leave the page as shipping method has been already created. Now Select Zone, country, state. Add Impact price and click on Submit button. 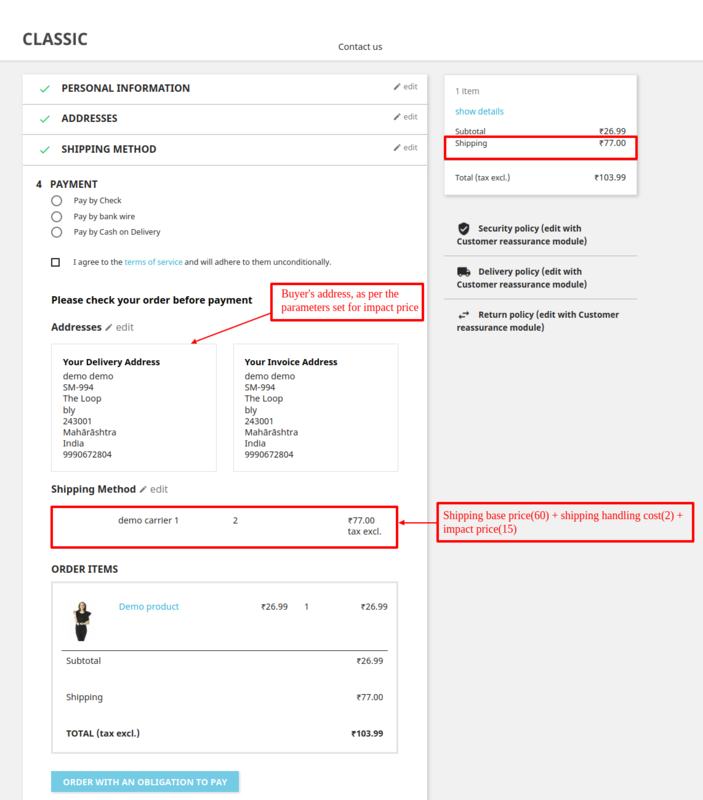 After clicking on “Set Default Shipping”, seller can set default shipping methods for the newly added products. 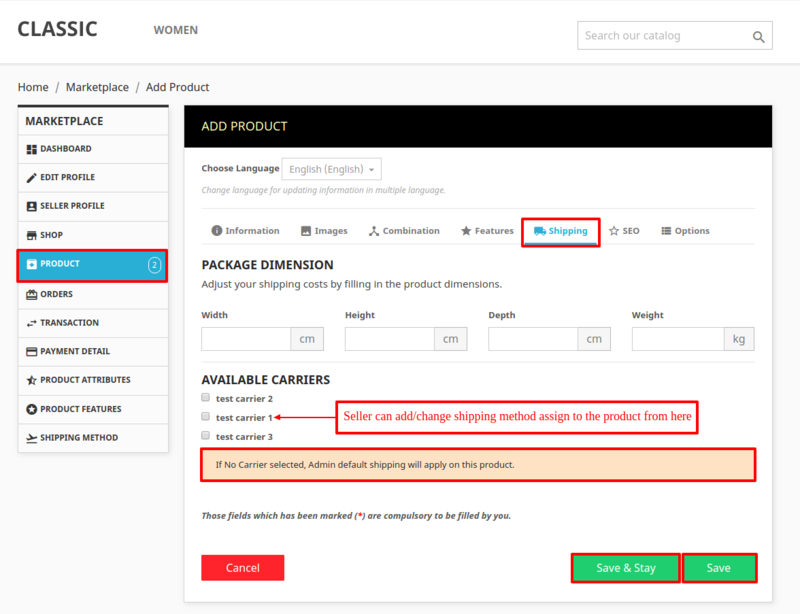 That means if any seller do not assign any shipping method while adding new product, then automatically default shipping will be applied to the product. Note:- Seller can set multiple shipping method as default shipping method. Now seller can see a shipping list where all the shipping methods are listed. Initially newly added shipping methods will be in pending state. All the new shipping methods needs to be approved by the Admin. While adding new shipping methods for seller, admin can also write the transit time in any language. 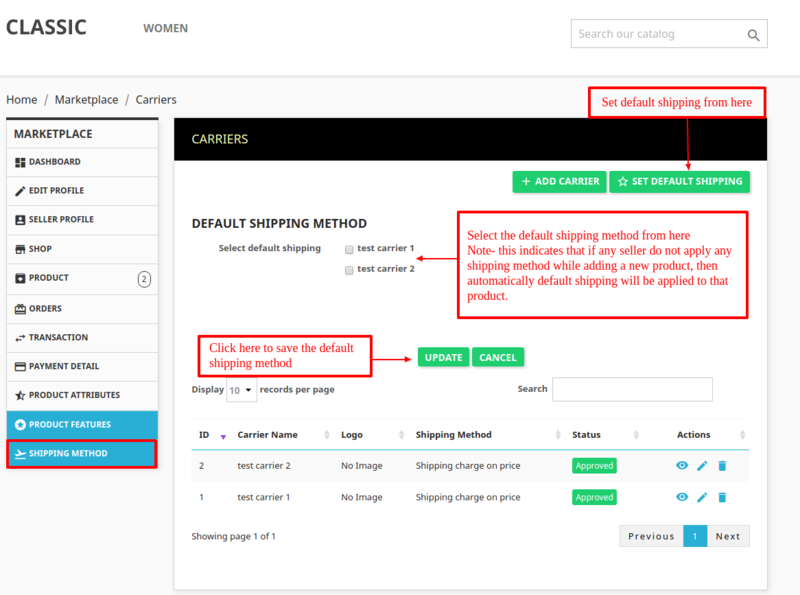 When shipping method is activated, then seller can see that shipping methods while adding new product through “Add new product” form or seller can see shipping methods on update product page. The default shipping set by seller will be automatically applied to the new product. If seller uncheck the default shipping also or there is no shipping on the seller product, then the admin shipping will be applied on the seller product. Seller can also assign same shipping method to all the products at once by the help of assign shipping button on product list page. 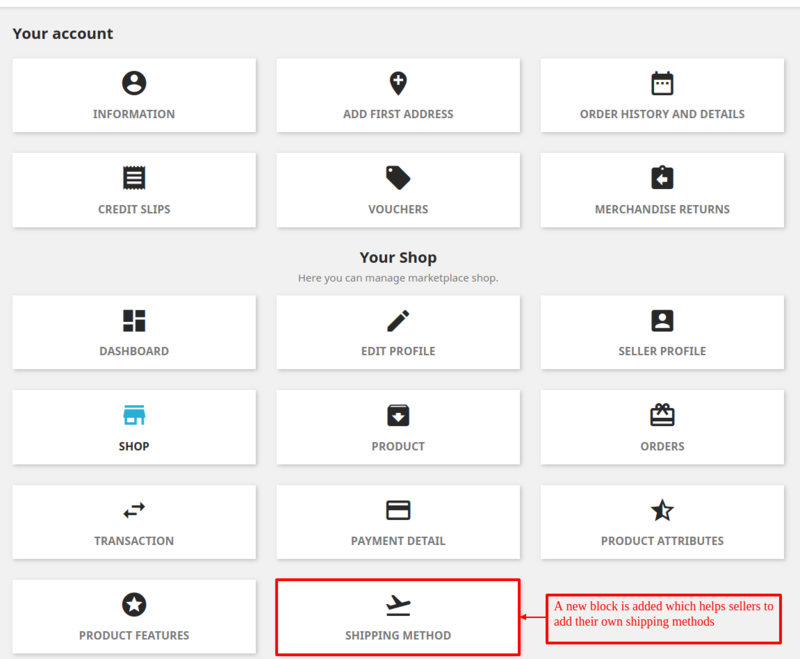 Note: If you have not selected any shipping method, then by default first shipping method will be assigned to that product which you have just added. 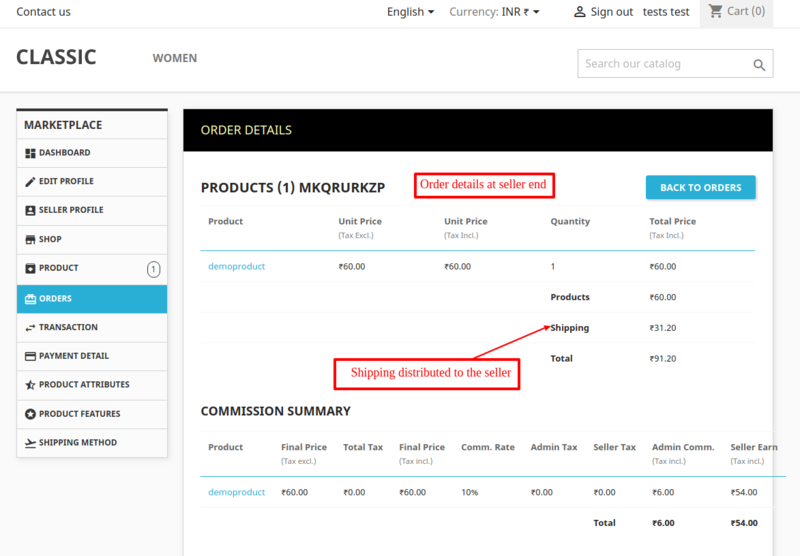 Shipping methods will appear as shown in below screenshot. The user has chosen free shipping, then the product price is not affected. If the user has chosen the other shipping method except for free shipping, then the product price would have increased accordingly. If the seller has added the impact price to any shipping method, then the price of shipping will change according to the customer address. Now, let’s say customer add the seller product in cart. The customer address is different from the zone,country or state of impact price set by the seller on the shipping method. Now, the buyer address is same as impact price one. 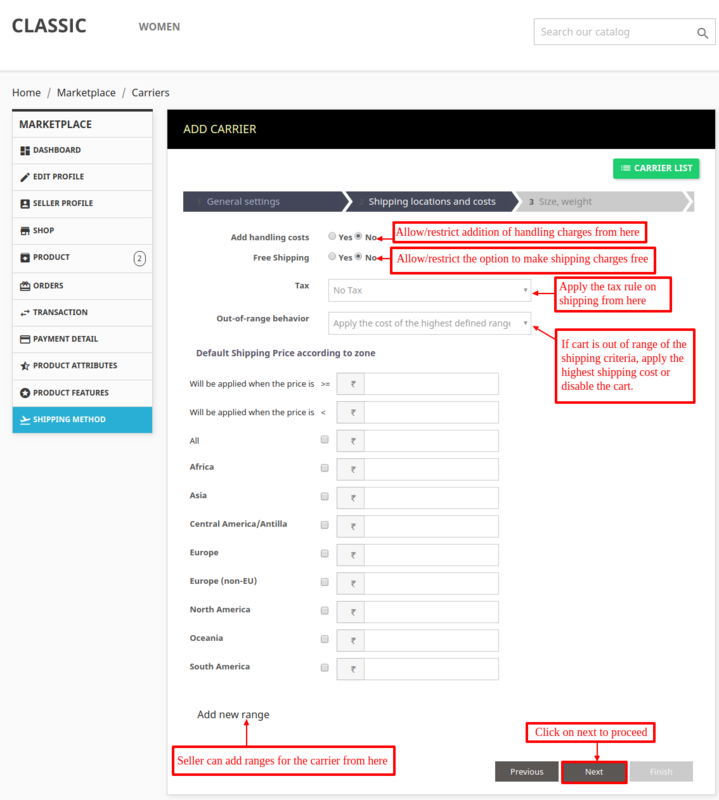 You can configure your approval settings from here for seller shipping. If admin enables shipping distribution, admin will be liable for distributing shipping. Note: If admin product exists with any seller product and “distribute shipping between admin and seller both” is set to “No”, then full shipping for that order will be assigned to seller. If set to “yes” the shipping distribution will follow a ratio based on either price or weight of admin and seller’s product. 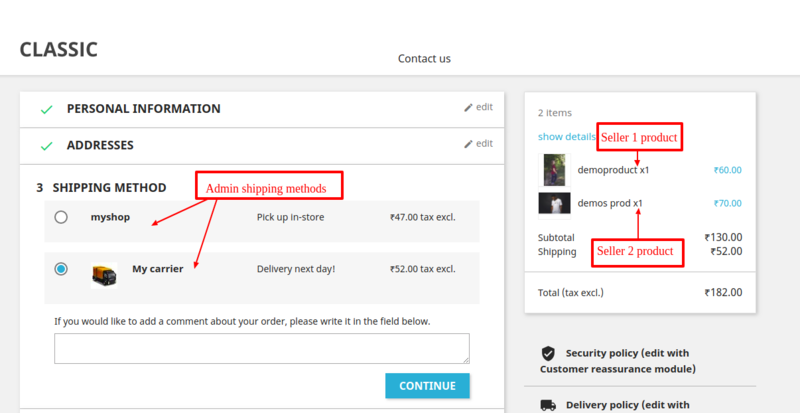 Now, admin can decide on whether to distribute shipping to seller/admin. 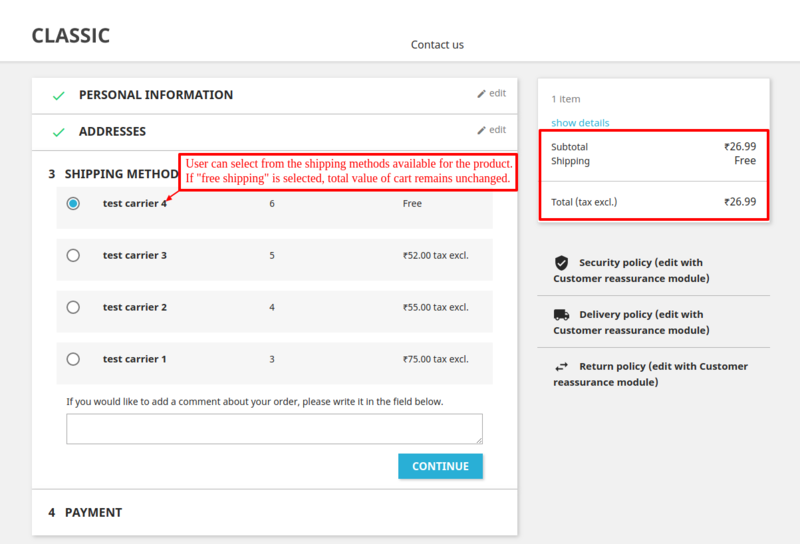 Go to Shipping -> Carriers -> Select the shipping method -> Shipping distribute to -> Set the value(seller/admin). Settings will get updated automatically. 2. Seller shipping method “test carrier 1” applied on the product. Now at the carriers page in back office, admin has set “shipping distribute to Seller” on seller shipping. Then in this case, full shipping charges will go to the seller. Now at the carriers page in back office, admin has set “shipping distribute to admin” on seller shipping. Then in this case, full shipping charges will go to the admin. 1. customer ordered from 2 different sellers. “Demo product” from seller 1 and “demos prod” from seller 2. 2. 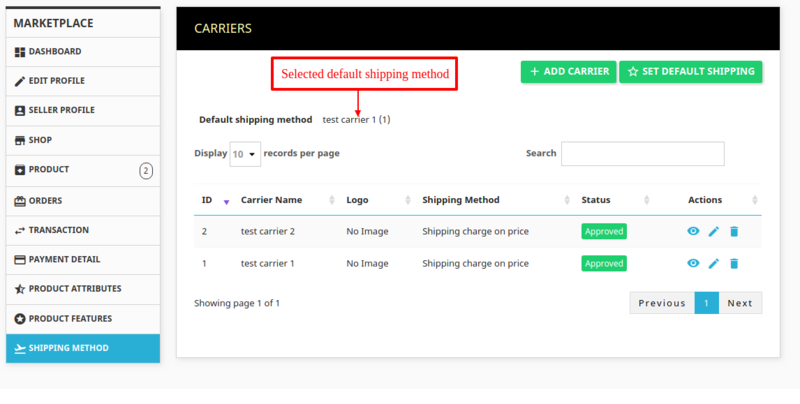 Admin shipping method “My carrier” applied on the product. 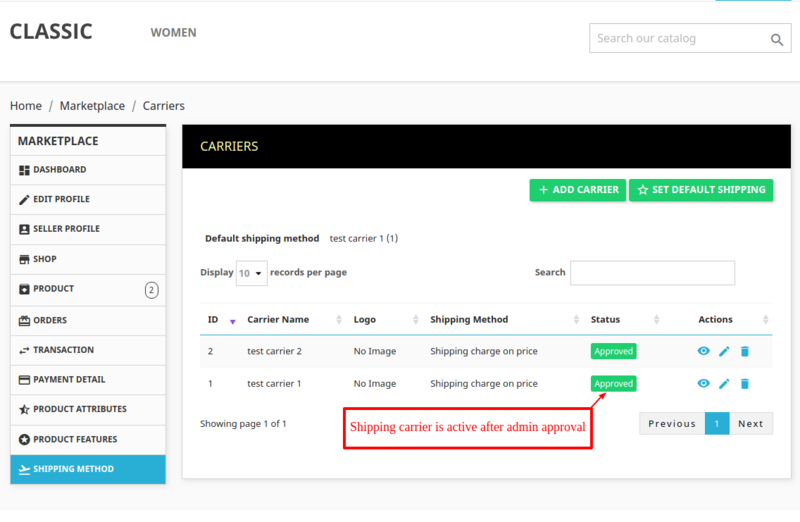 Now at the carriers page in back office, admin has set “shipping distribute to Seller” on admin shipping. Now we will check shipping is set according total price or total weight. If customer ordered from 2 different sellers. “Demo product (3 kg)” from seller 1 and “demos prod(8 kg)” from seller 2. 1. customer ordered 1 seller product “demo product” and 1 admin’s product. 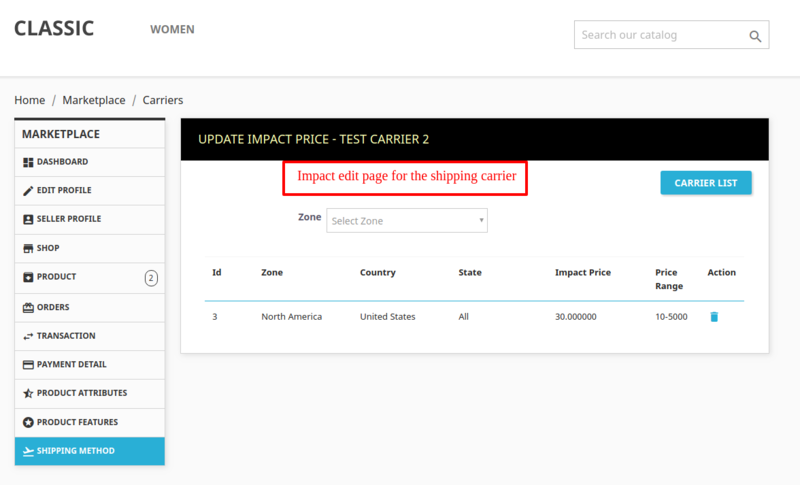 Now at the carriers page in back office, admin has set “shipping distribute to Seller” on admin shipping. And approval setting “distribute shipping between seller and admin both” under configuration is Enabled. 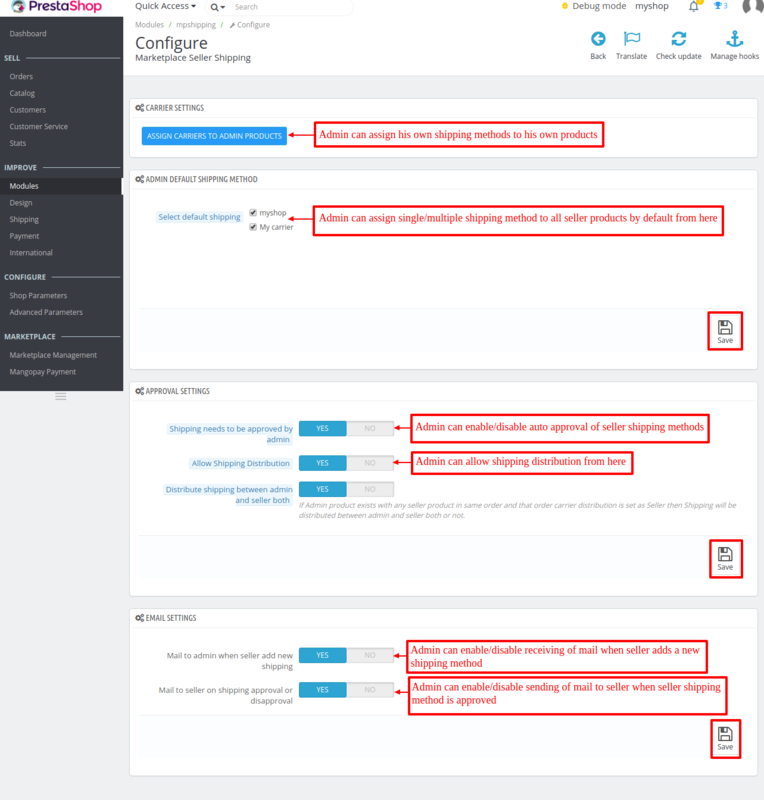 And approval setting “distribute shipping between seller and admin both” under configuration is disabled. Then in this case, full shipping charges will go to seller. Now at the carriers page in back office, admin has set “shipping distribute to admin” on admin shipping. And approval setting “distribute shipping between seller and admin both” under configuration is Enabled. Result of which the entire shipping will go to the admin. 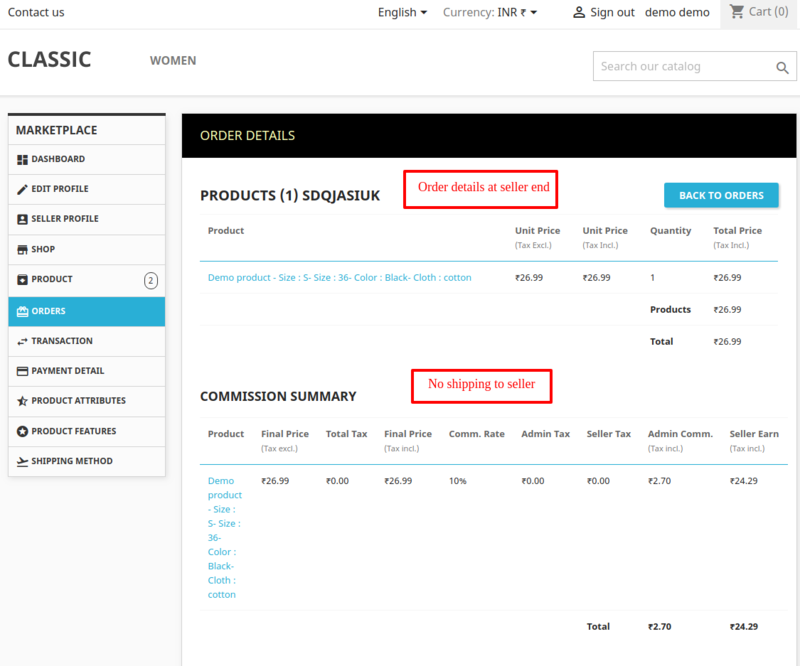 Note: Admin can also view the seller shipping for every seller separately under “Manage seller order” page. That’s all for Prestashop Marketplace Seller Shipping Module.